"Captures the tenderness and rage of adolescence and middle age." Love, decency and forgiveness triumph - albeit imperfectly - over betrayals large and small. 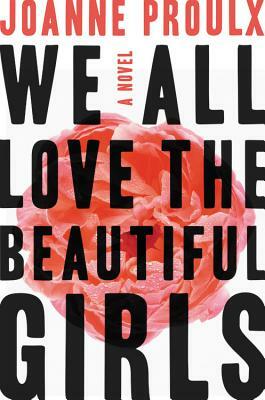 Perfect for fans of Rick Moody, Lauren Groff, and Celeste Ng, a propulsive literary breakout about three suburban families whose lives spiral dangerously out of control after tragedy strikes. Who suffers when the privileged fall? One frigid winter night, Mia and Michael Slate's comfortable world dissolves in an instant when they discover that their best friend has cheated them out of their life savings. At the same time, a few doors down, their teenaged son passes out in the snow at a party--a mistake whose consequences will shatter not just their family, but an entire community. In this arresting, masterful page-turner shot through with fierce, clear-eyed compassion and a sublime insight into human fragility, award-winning novelist Proulx explores the savage underpinnings of betrayal, infidelity, and revenge--and a multilayered portrait of love, in all its glory, that no reader will soon forget. Joanne Proulx's fist novel Anthem of a Reluctant Prophet won Canada's Sunburst Award for Fantastic Fiction and was named a best debut by The Globe and Mail and Kirkus Reviews. A feature film adaptation will be released in 2018. A graduate of the Bennington Writing Seminars, Joanne lives, writes and teaches in Ottawa, Canada.